The Steamotor Truck Company and its relationship with Abner Doble requires additional research. 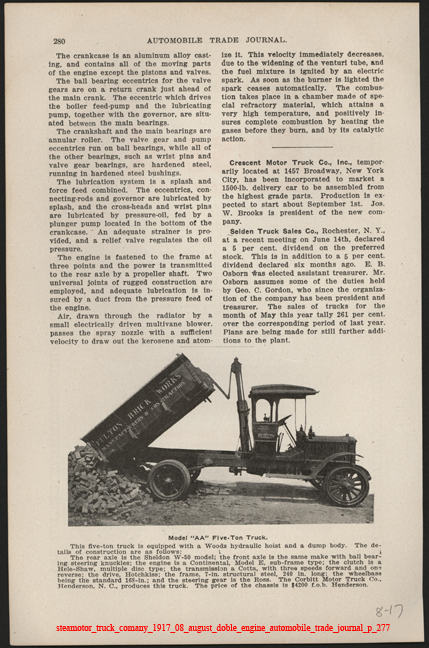 In 1917, the Company's truck featured a Doble Steam Motor. 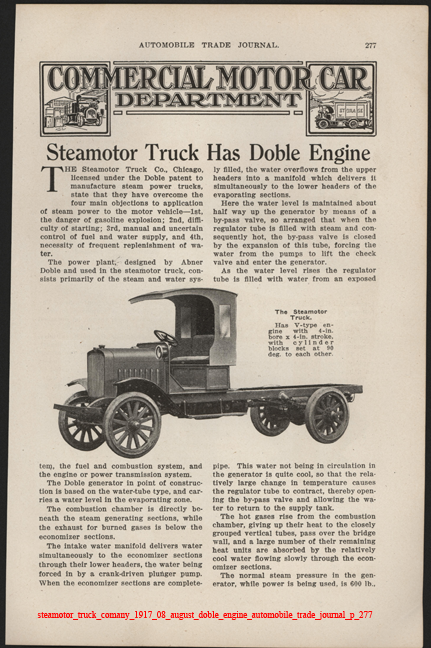 The Automobile Trade Journal featured this three-page article in August, 1917, detailing the use of a Doble Steam Engine in a Steamotor Truck. 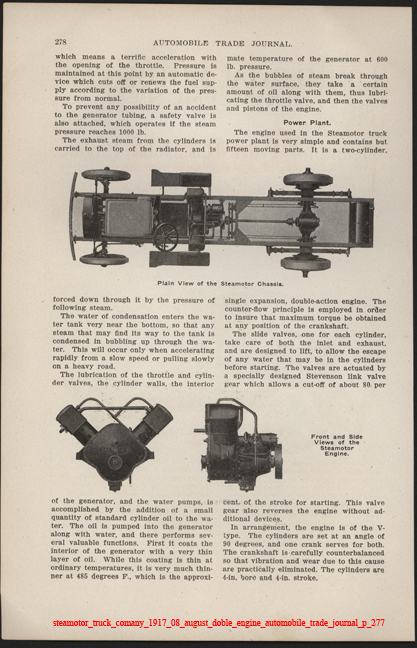 This is the Steam Driven Cars and Trucks section of a Scientific American publication entitled Price Classification of Motor Cars for 1918. It is dated January 5, 1918 and is a Floyd Clymer reprint. 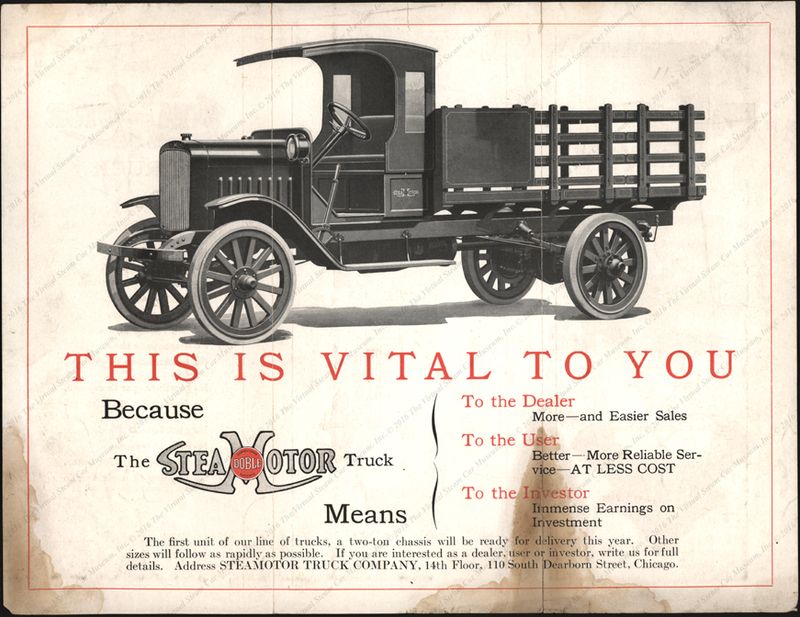 The only other steam vehicle producers listed are the Stanley Motor Carriage Company of Newton, MA and the Doble-Detroit Steam Motors Co. of Detroit, MI. 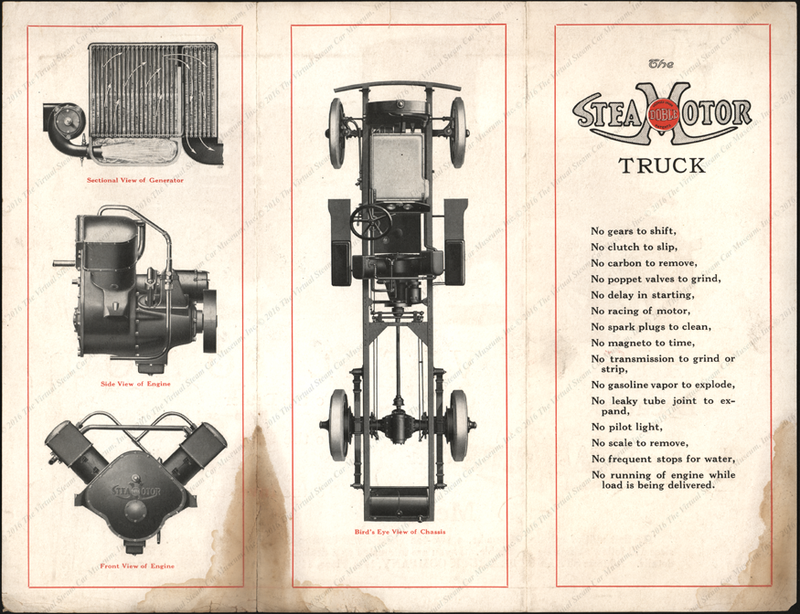 This Steamotors Truck Company trade catalogue shows the company's two-ton chassis as well as the steam generator and two views of the engine.